The Standing Committee On Reproductive health including HIV/AIDS (SCORA) in the Lebanese Medical Students International Committee (LeMSIC) at the American University of Beirut (AUB) was holding a campaign to raise awareness for International Women's day which is usually on the 8th of March of every year. 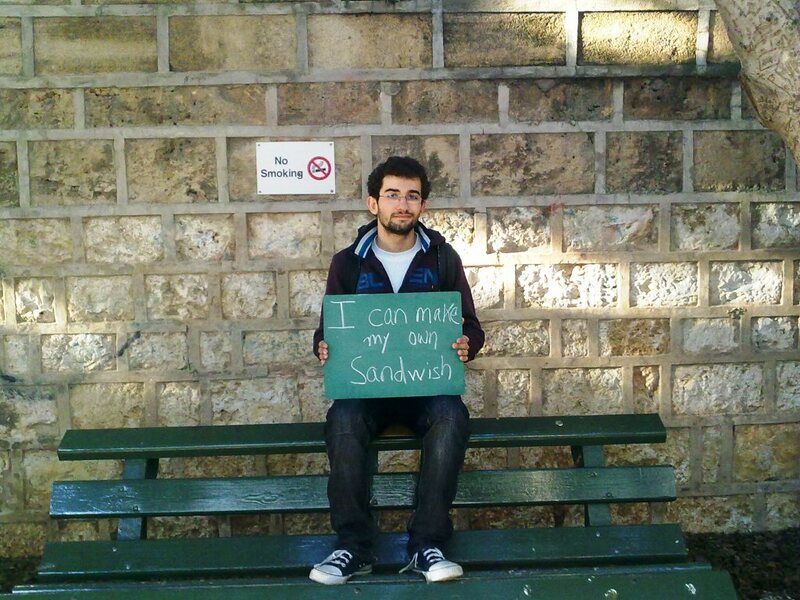 Their campaign consisted of a photo-shoot of people holding a green board that they can write whatever they want on. Of course it had to be relevant to the topic, though some did go a little out of subject, but that is okay. They also had a very creative idea where they created a bathroom cabin (with no toilet) that people can actually go in and write on the bathroom wall too. There were also purple-green-white handmade bracelets handed out for free to participants. They will be collecting these photos to create an exhibition in AUB to display the statements and people in these photos. Below are just a random selection of photos that I took from the event. This campaign will go on for a couple of days more and I will post a link here of the official photos if they end up posting them somewhere online. LeMSIC is a non-political, non-religious, non-profit student-run organization that represents medical students in Lebanon. It is a full National Member Organization (NMO) of the International Federation of Medical Students' Associations (IFMSA) . I love the "females you can open your own doors"